Jeremy Paden is a professor of Spanish, but you might find him falling naturally into German or Italian while chatting with a colleague in a neighboring office. Although he claims it’s been “much too long” since he studied German for him to carry on a fluent conversation, there is a fluency in his ability to cross cultural bounds. Growing up in Italy, Latin America, the Caribbean, and the U.S., that’s no surprise. “There exists no divide between language and culture,” he said. In his classes, Paden strives to emphasize the “complexity of Latin America,” which he believes is often overlooked. If students understand the variable forces and influences on the region as well as the multiple identities that have shaped its history, their grasp of the language will also improve. This in turn increases the students’ awareness of Latin American values, as well as their own. These lessons can be simple. For example, Paden wants students to know that “the first place that received the name America was actually South America.” That revelation can, in some small way, alter a student’s world view. Understanding the role the United States has taken in Latin American politics or the various social justice issues its communities face helps students gain a more nuanced perspective on this part of the world. But just as studying culture deepens students’ understanding of language, a liberal arts education gives students a richer academic experience that prepares them to better engage the world, not just those within their field. “A liberal arts education, much like the study of a foreign language, moves students beyond the theories and ideas they are accustomed to. Learning a language broadens your mind. It’s easy to be certain about the way the world works when you have one language and one community,” Paden said. Paden came to Transylvania because he values the liberal arts approach. “Being able to not only coexist but to relate, understand, and engage in dialogue with people from a variety of backgrounds and professions is important for human society." A prolific poet, Paden published his first chapbook of poetry, Broken Tulips, in 2013. He has also published work in Now & Then: The Appalachian Magazine, Hinchas de Poesía!, The Adirondack Review, Artichoke Haircut, Abuelas hispanas desde la memoria y el recuerdo (an anthology about Hispanic grandmothers), and So Spoke the Earth (an anthology about Haiti). 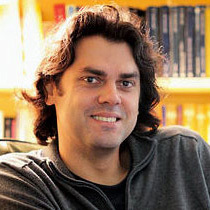 Other journals and anthologies that have published his work include The Atlanta Review, Borderlands: Texas Poetry Review, The Tidal Basin Review, The Cortland Review, The New Mexico Poetry Review, Sin Fronteras/Writers Without Borders, The New Sound: A Journal of Interdisciplinary Art and Literature, The Louisville Review, Beloit Poetry Journal, Pluck! the Journal of Affrilachian Arts & Culture, Naugatuck River Review, Christianity & Literature, Limestone, and Duende. He is a member of the Affrilachian Poets. Want to know more about Transylvania's Spanish or Latin American and Caribbean studies program?